We are not 100% sure how he came to be our patron saint but Paul was told he was a fisherman and one of Jesus’ first Apostles. He was sentenced to death by crucifixion by the Romans but asked to be crucified on a diagonal cross as he felt he wasn’t worthy to die on the same shape of cross as Jesus. This diagonal cross is now used on our Scottish flag – the Saltire. 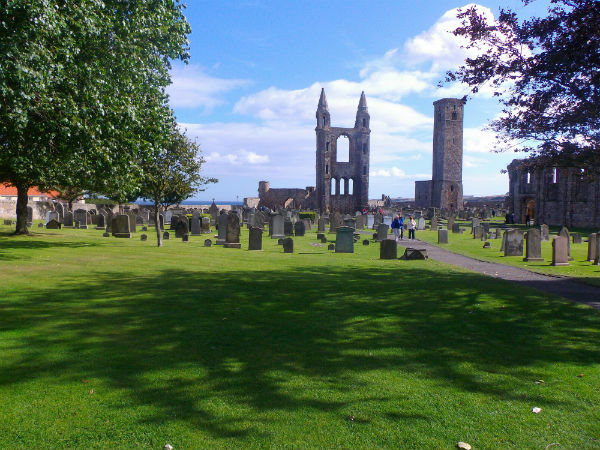 Scots records suggest Scotland adopted St Andrew as the patron saint by the year AD 1000. In 1286, the Seal of the Guardians of Scotland (used to on legal documents) had a representation of St Andrew on his X-shaped cross. In 1390, St Andrew first appeared as a national symbol on a coin of the realm, a five-shilling piece minted during the reign of King Robert III. Legend says that relics of the saint were brought from Greece to Kinrymont in Fife in the fourth century by St Regulus, after he was shipwrecked off our east coast. 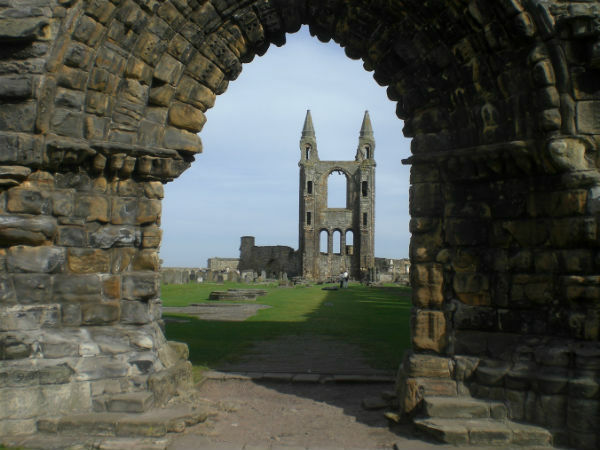 The church at Kinrymont became the cathedral of St Andrews and soon became a major centre for medieval pilgrimage centre. 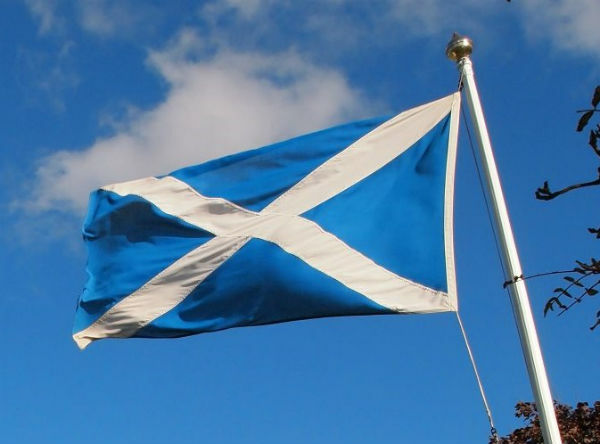 Another legend says in the ninth century, a Pictish king, Angus mac Fergus, adopted St Andrew as the patron saint after seeing a Saltire appear in the sky, immediately before his victory at Athelstaneford against the Northumbrians (English and Saxons). The battle at Athelstaneford, East Lothian, in AD 832. Picts and Scots of King Angus invaded the Lothians, which was still Northumbrian territory at the time by the way. Fearing defeat as the enemy were a lot larger army than his, King Angus led prayers and saw a cloud of a white Saltire in the blue sky. He vowed that if with Andrew’s help he won, he would make him the patron saint of Scotland. The Scots indeed won and the Saltire became the flag of Scotland and He our Saint. Today Scotland celebrates St Andrew on 30 November, every year. Why do we have two flags in Scotland? – the Saltire or St Andrew’s cross (white on blue) and the Lion Rampant (yellow and red). The Lion Rampant is the Royal flag and is supposed to only be used by royalty. The Saltire is the oldest flag in Europe. A Scottish Parliamentary committee officially stated the Scottish Saltire Flag become standardized, Pantone 300.